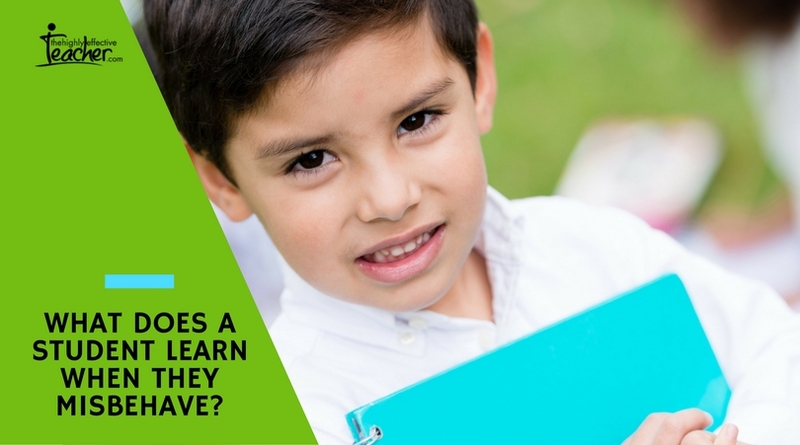 What Does A Student Learn When They Misbehave? Effective discipline does not come from the quick mastery of techniques or the implementation of a packaged method. Effective discipline comes from the heart and soul of the teacher. It comes from the belief that teaching students to take responsibility for their behaviour is as much the ‘job’ of the teacher as teaching history or math and more important than simply enforcing rules. It comes from the belief that most students do the best they can, many in what they feel is an adverse environment. Schools are in the business of teaching. The issue arises when teachers disagree about what it is they are meant to teach. Some teachers will say that it is not their job to teach students how to behave, or how to regulate their emotions, or how to make friends or what to do when they feel angry. However, if you don’t teach them these important social skills at school, how will they learn? Especially those students whose lives outside of school are full of chaos and confusion; the students whose only positive adult role model may be their teacher. If a student’s learning is compromised because they don’t know how to manage their emotions, then it is the teacher’s job to reduce that barrier by providing whatever it is that the student needs. And this may mean explicit teaching of social skills, targeted for the particular needs of that student. Teach every child the way you would want your own child to be taught’. To me, that means doing whatever it takes to help a student learn. The important fact to remember is that children and young people are learning all the time. Whether you teach them explicitly or implicitly you are always teaching values, principles, ways of behaving and how to deal with emotions because of the way you interact with children and young people. If you look at problem behaviour as a form of communication, and that the students who act this way are using the only skills they have, then you may consider what they learn when schools use traditional or ‘zero tolerance’ policies for certain behaviours. On the other hand, when students are taught explicitly what they need to learn and given the opportunity to adopt new behaviours in a supportive and positive environment, they can become accountable and responsible. By including a teaching and learning element in our behaviour management plan, we give students more options for what to do when they are overwhelmed or frustrated or angry. A well-functioning classroom will incorporate social and emotional learning because the teacher understands that students need these skills in order to learn. This article may also interest you: Do You Want A Classroom That Hums? When teachers passionately embrace the job of teaching social skills, the student, the school and the community benefits.